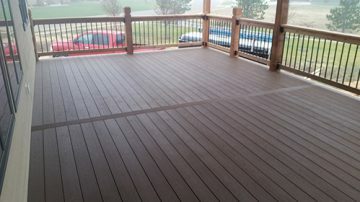 Wood decking materials are generally more cost-effective than their composite counterparts, and wood also offers a more natural appearance which may better suit your home. If longevity and low-maintenance are your top priorities when selecting your decking material, composite would be your best choice. 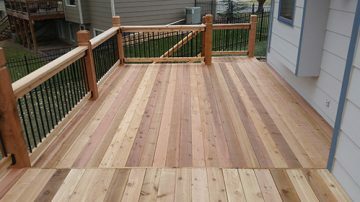 Composite decking is a manmade product, consisting of wood particles and recycled plastic. 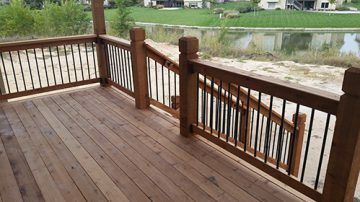 While the decking you choose is very important, the handrail and baluster selections you make can have a profound impact on the look and feel of your finished deck.